The Athletic's Dan Brugler put out a full 7-round mock draft which features 10 MAC players. That's quite a bit! Who are they, what did he say about them, and how did Pro Football Focus' 250-player big board line up with the mock? With the NFL Draft coming up, it's time to start focusing on the MAC prospects. To get things started with a Combine invitee and a non-invitee, let's begin the series with Sean Bunting (CB, CMU) and Scott Miller (WR slot, BGSU). Bunting's an obvious draft pick to-be, but can Scott Miller, a 3-time All-MAC receiver, be a late-round sleeper? Two new guys will be joining NIU's offense after previously being on P5 rosters. Ross Bowers comes in as a grad transfer QB from Cal and Erin Collins joins the team as an NC State bounceback-JUCO transfer. NIU's offense was really bad last year, so maybe they can be of some help? Also, some chatter on the NFL Draft and Ball State's recruiting class. Found an error with Episode 7 as soon as I published it, so I need to start with a correction on Ozziah Williams & Western Michigan's secondary. NIU's fourth commit for the 2020 cycle is another in-state defensive linemen, and that's exciting if you're into that sort of stuff! Lastly, John asked me a question about the MAC's place in the world. Specifically: what's the excuse for the Sun Belt being better than the MAC right now? In breaking news: WMU's adding another transfer cornerback to its program, this time it's Kareem Ali Jr., by way of Temple. Ali was a 4- or 3-star prospect out of high school, but never received meaningful minutes as a corner with Temple because of injuries. Now he's got a shot at finally playing at WMU. Worked last year for Juwan Dowels (who may or may not play for WMU again this year), and there's JUCO transfer Ozziah Williams joining the program this year too. Behind them are a lot of inexperienced players that are still being broken into D1 football. Spring is upon us all and there are a few teams that have an all-hands-on-deck approach to filling in the depth charts at wide receiver. Ohio graduated Papi White, who had 100 receiving targets last year, Toledo's lost its top three receivers from the last two seasons, and Akron's... well, Akron's Akron. Our first look at the class of 2020 commits around the MAC. It's early, but there are a couple names that I want to take a look at. Namely, ATH (WR/QB) Freddy Edwards from south Illinois, and LB Camden Rogers from Fort Wayne, Ind. By my count, Miami has six commits, Northern Illinois has three, and Ball State, Buffalo, Kent State, Ohio, Toledo and Western Michigan all have one commit each. Akron, Bowling Green, Central Michigan and Eastern Michigan have all yet to receive a verbal commitment, but it's still really early in the cycle. It's REWATCH FOOTBALL GAMES SZN for the friendless, like myself. But this game works as a way-too-early preview for the 2019 season and helps open up more questions about the teams now that spring ball has begun for everybody. FootballScoop has reported that Ball State's newly-hired defensive backs coach, Grady Brown, has left for Old Dominion to be the Monarchs' co-defensive coordinator. Brown was hired to be a proven coach to help boost the trending Cardinal secondary, but he was also hired to be another solid recruiter in the state of Georgia. Before that, it was Chevis Jackson as the Cardinals' DB coach. In his first full recruiting cycle for Ball State, he helped the team piece together the No. 4 signing class in the MAC and was named the MAC Recruiter of the Year by 247sports.com. Now, with Jackson gone to Kansas and Brown to ODU, head coach Mike Neu has to hire another DB coach with great ties to Georgia — a state that Neu wants get his athletes from. 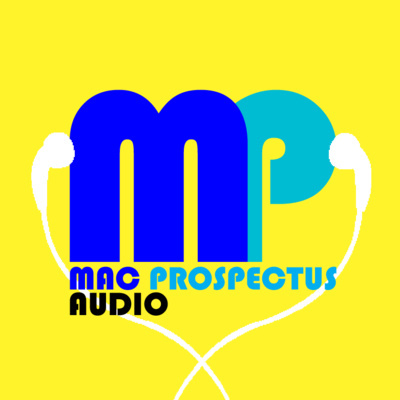 This is the very first episode of MAC Prospectus Audio, which means you deserve an explanation of what's going on right now. This podcast will be a ~daily show, which means MAC football will be part of our everyday conversations more often than not. At the very least, most days of the year we'll be able to talk about MAC football. To leave you with an actual MAC football discussion: TE Tyler Mabry leaves Buffalo and will join Maryland as a graduate transfer.